Botanique Hotel & Spa in Campos do Jordão, Brazil. Ranked #67 in our countdown of the 100 Best Hotels and Resorts in the World. Botanique takes the whole ‘concept hotel’ notion up a notch (or three). The hotel melds the best of boutique with the precision of five-star (though there’s nothing as démodé as a front desk here – a personal curator caters to every need). High in the Mantiqueira Mountains about 400 kilometres from São Paolo, it’s exclusive and eco-savvy – massive reclaimed timber beams and slabs of natural stone backdrop bespoke furnishings and original art. You’re surrounded by space, yet coddled with comfort. The spa is alpha-plus, based on Afro-Brazilian and Native Indian biodiversity. 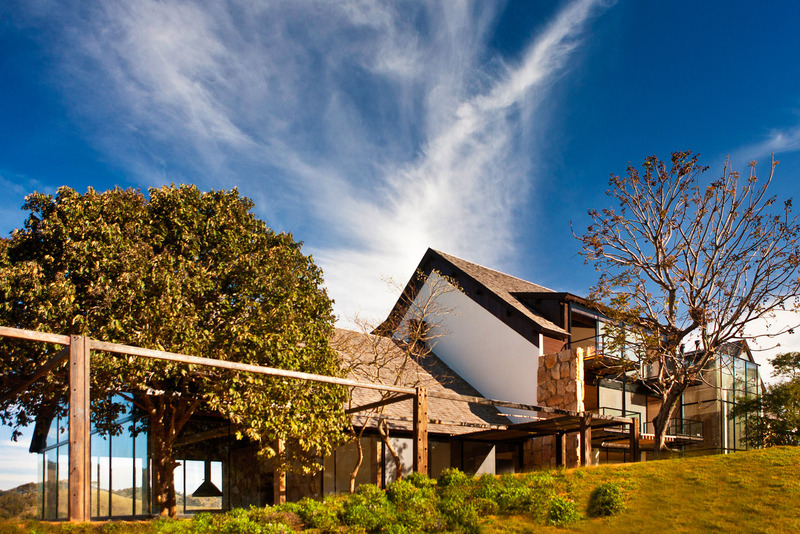 Feast on the contemporary Brazilian farm-to-fork cuisine, with artisanal local wines and a stellar cigar selection. Did you know The Davos Climatology Conference delcared the Campos do Jordão – Brazil’s Hamptons – as the world’s best climate.